Designing a new bespoke kitchen is a time consuming task, but one that we all must do if we wish to add a little luxury to our homes. You may be in the midst of laying down plans and blueprints, ringing up designers and piecing together a certain style, but this doesn’t mean the kitchen in question is anywhere near completion. Creating a bespoke kitchen allows you to put your own stamp on the space in question as appose to simply choosing a design in a showroom and waiting for it to be delivered. The latter option is of course the lazy option and many people make the mistake of choosing such a selection. Just because the kitchen you had in mind looked astounding in the showroom, doesn’t mean it will look identical in your home and even if you select this option you should consider having units made-to-measure. The first thing you need to ask yourself when considering bespoke kitchens is whether or not the kitchen in question will go with the rest of your home. After establishing a style, you will need to enquire about whether the kitchen will fit in the space you have available – and this means taking measurements. Always ensure these are as accurate as possible and use professionals if in doubt. 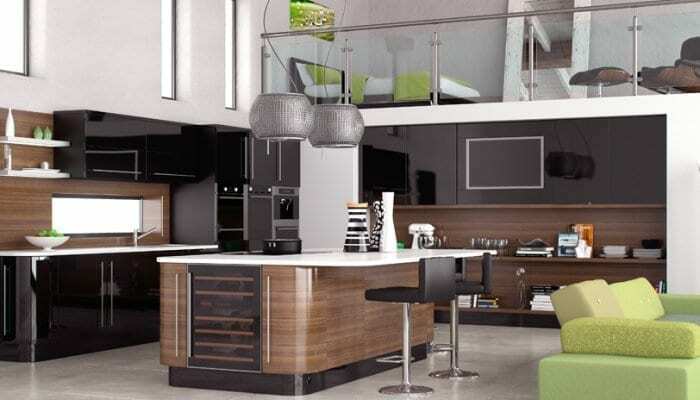 The beauty of a bespoke kitchen is the fact that it is tailored to suit your every need. This means that it will fit the space you have available with ease – giving you a stylish design which has a professional appearance and a practical function. There is a definite difference between craftsman quality and mass-produced items. The main difference of course is the detail. A craftsman-produced kitchen comes in the shape of a luxury or bespoke kitchen as opposed to your every day mass-produced design. Bespoke designs allow you to have a say in what is being created. For example, if you are a little on the smaller side, you may wish for the worktop to be a little lower, however if you are on the taller side, you will more than likely wish to take it up a notch or two. A bespoke kitchen is comprised of detail and quality and is therefore suited to individuals that have a clear picture of what they want in their minds. Bespoke kitchens don’t have to cost the earth and are often in the same league as some of today’s cheap fitted kitchens. Try and choose a company that offers special promotions and discounts to get the best value for money. Such promotions include the likes of small deposits, no repayments until the following year, interest free credit and hefty guarantees. All of the above deals will certainly save you a lot of money in the long run and will allow you to actually use your new culinary space before paying for it. The best way to invest in such deals is to shop around. Don’t settle for the first offer you see as more often than not there will be a better one out there. I have read your article and its really very good article.